Meghan was born and raised in Escondido, California. She found a love of acting and performing in the fourth grade, and began to search for ways to learn and perform outside of her small school. Meghan attended San Diego Junior Theatre and the La Jolla Playhouse's Summer Conservatory, where she thrived on the busy schedule of study, performance, and immersion in professional theatre. 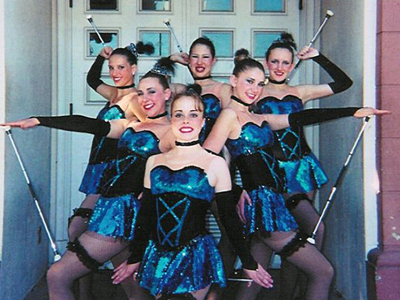 She also took up baton twirling, which she practiced and competed in for 10 years. Learning fire, sword, two-baton, hoop, and flag, she competed both solo and on a team. Meghan earned the title of California Miss Majorette, and competed at the Baton Twirling National Competitions at the University of Notre Dame, where she placed in the top three of her division. Meghan attended the University of Southern California, where she graduated with a B.A. from the School of Dramatic Arts, and also minored in Screenwriting. While there she attended the study abroad program at the British American Dramatic Academy, and lived out a dream of performing Shakespeare at a professional theatre in London. Currently living in Los Angeles, Meghan now works regularly in voice over and on stage. For the past year she has been working with Voxx Studios, dubbing both lead and one-off characters from telenovelas into English for broadcast in South Africa. She has also recorded and produced eight audiobooks from her home studio, which are all available for purchase on iTunes, amazon, and audible. She also recently became a member of Urban Theatre Movement, a company she has performed with twice over the past year.